Mumbai 27 December, 2016: EsselWorld, one of the largest amusement parks in India celebrated its 27th anniversary. The celebration saw the presence of Mr. Ashok Goel- Promoter of EsselWorld and Water Kingdom for the cake cutting ceremony. 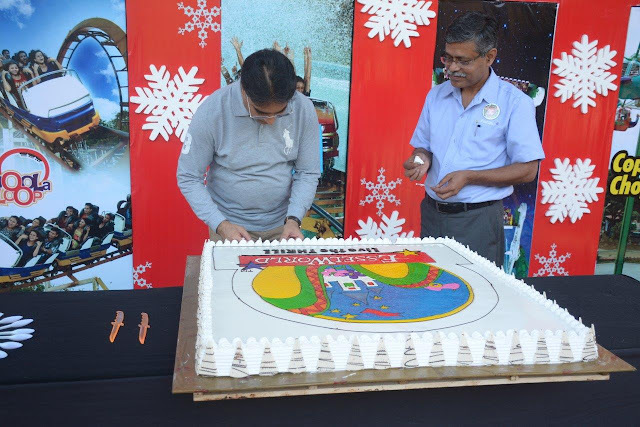 To make their anniversary celebration more enthralling EsselWorld collaborated this occasion with their Xmas carnival which is unique in its own way, therefore, visitors can expect 27 times more fun more frolics and more excitement! 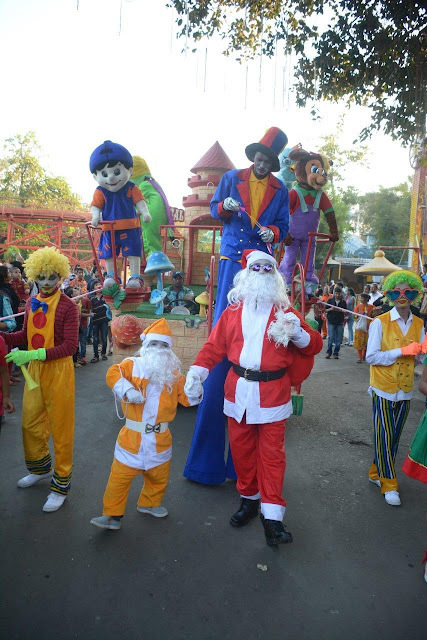 The unique part about the Christmas carnival is that EsselWorld has invited ‘Little Santu’ to the park’ which merges the physical world with virtual one. The mischievous yet cute Little Santu will add to the thrill quotient by suddenly disappearing amidst packed crowd and asking the on-ground users to seek him to win rewards. Starting December 24, 2016, the park invites all its patrons to have a fun-filled time at its famed snow-capped Santa Town. 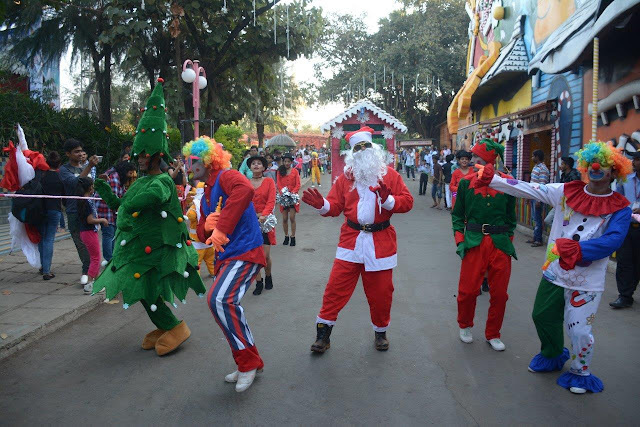 Apart from this, from December 24 through January 01, 2017, what makes this event more exciting is that this year for kids EsselWorld has kept Enchanting Christmas Magical Parade, where one can enjoy & dwell in live Street Acts and also hang out with Fab 5 characters – Andy, Mini, Mitthu, Mayur, Riki, candy man, candy girls, acrobatic dance troupe, rain dance with live DJ and live performance by jugglers, clowns etc. Commenting on this occasion Mr. Shirish Deshpande, CEO, EsselWorld & Water Kingdom said ‘’ We are very proud of our rich 27 years of legacy that has always provided a memorable experience to approximately 29 million visitors. Our mission is to redefine the means of entertainment and above all meet the fast changing consumer needs for active entertainment and aim to become one of the most favoured destinations for corporate parties and employee engagement programmes going forward. Consumer safety and security of our guests has always remained paramount to us, we ensure that we do not compromise with it ‘’. Pan India Paryatan Pvt. Ltd., a subsidiary of USD 6 billion Essel Group, is the holding company of EsselWorld, the largest amusement park in the country and Water Kingdom, one of the largest Theme Water Parks in Asia. The twin parks have set a new benchmark in the Indian amusement park industry by entertaining more than 29 million visitors over the past 27 years. The Group’s mission is to redefine the traditional means of entertainment and above all meet the fast changing consumer needs for active entertainment.